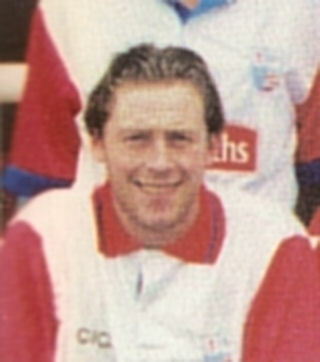 David started his career with Scarborough as a schoolboy before progressing up to the first team, where he played some 20 games. He joined Gresley Rovers in March 1994 and was their top scorer the following season. In the summer of 1995, he moved to Gloucester City where the young striker enjoyed more success. It was while he was with the Tigers, that he arrived a Nene Park in March 1996 on loan until the end of the season. He played just twice before returning to Gloucester City for the following season. In August 1997, he joined Burton Albion, and went on to play for Ilkeston Town, Worcester City, Halesowen Town (on loan), Alfreton Town, Gresley Rovers (on loan), Ilkeston Town, Mickelover Sports before finishing his football back at Gresley Rovers.